Please join us for an exhibition of Photographs by French Artist Fred Mortagne at Park Life Gallery. 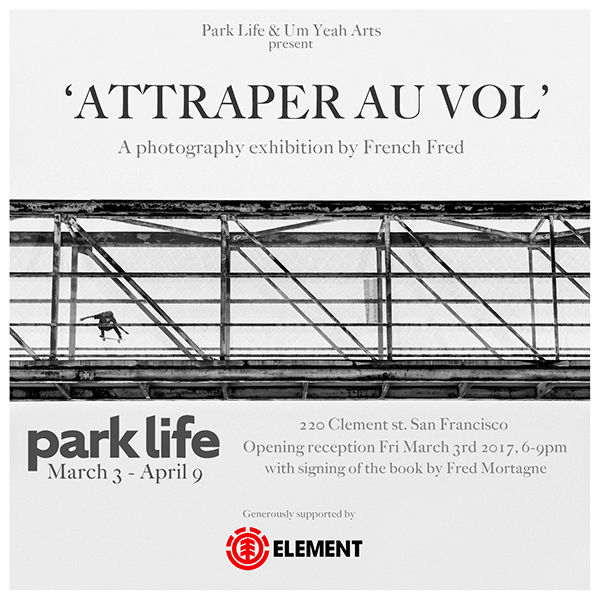 Fred will also be signing copies of his new Monograph - Fred Mortagne (French Fred) “Attraper Au Vol” published by Um Yeah Arts. Opening Reception Friday March 3rd 6-9pm. This exhibit made possible by Element along with Thomas Campbell and Um Yeah Arts.